Jerry is the Vice President of Client Solutions and focuses specifically on Marketing and Sales. He is responsible for leading Danforth’s new business acquisition by identifying market opportunities, developing strategic partnerships with key accounts, developing sales forecasts, budgets, and long range sales planning and growth strategies. Jerry’s career has afforded him the opportunity to gain a complete and thorough understanding of the HVAC and energy business. Jerry’s executive career began at Siemens Building Technologies where he served as the North Region Energy Business Manager. There, he grew the business by 22% annually. He was then promoted to General Manager of the Energy Business for Upstate New York. He was responsible for $35+ million in annual business and led the sales and operations teams. In 2008, Jerry took on the role of Area Manager and oversaw $82 million of business in addition to the $23 million in energy business throughout the Northeast. 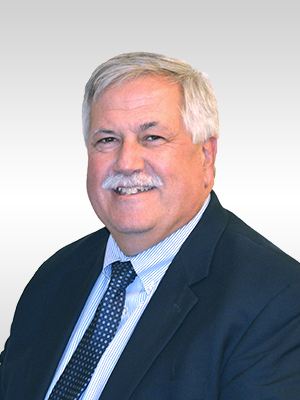 Jerry has overseen the procurement of energy performance contracts for large clients such as the Buffalo Municipal Housing Authority, Rochester Housing Authority, Ford, and West Virginia University to name a few. These projects also developed Jerry’s knowledge and expertise in cogeneration, building automation, and industrial energy usage planning. Jerry attended SUNY Alfred and SUNY Buffalo where he earned an AAS in Electro-mechanical Technologies and a BS in Industrial Engineering Technology respectively. He also attended Canisius College where he earned his MBA. Jerry is involved in the Association of Energy Engineers (AEE) as well as the American Society of Heating, Refrigerating, and Air-conditioning Engineers (ASHRAE).